In 2019 SKEW will be attending at least two major exhibitions. The first is the Bauma exhibition in Munich, Germany. We welcome you on our stand C3.125 in Hall C3. 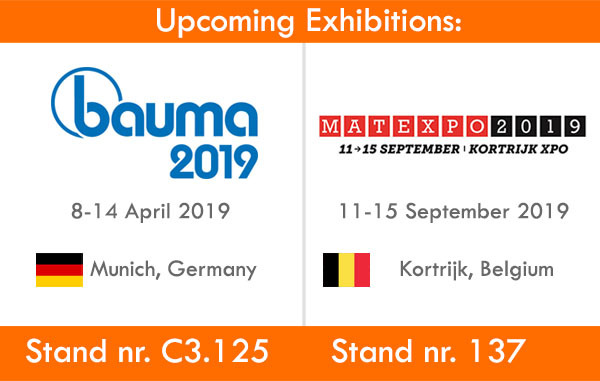 The Bauma exhibition will be held from 08-04-2019 to 14-04-2019. On Both occasions our Jiggelo - Reinforcement Assembly System will be presented together will or latest developments and applications. Jiggelo System for Knife River Corporation, Oregon United States proven successful! Last year the Jiggelo System has been redeveloped for the United States. Each component has been translated from millimeters to inches, making the Jiggelo System compatible with U.S. standards. The Reinforcement Assembly System has currently been implemented by a number of U.S. companies. One of the first Imperial Jiggelo Setups is currently in use by Knife River Prestress. Knive River (Harrisburg, Oregon) offers a wide variety of #precast and #prestressed #concrete products. Knife river is currently using a 60 feet (18+ meters) long Jiggelo Bench Model. This turns out the longest Jiggelo Bench being used worldwide! Mr. Loren Later, Vice president of Knife River, mentioned the Jiggelo System has increased their manufacturing speed and production quality. Mr. Later stated the company experienced a significant #labor savings as well. SKEW is delighted to be a part of the reinforcement manufacturing process of Knife River! SKEW offers a handy welding arm to improve your cage welding area! This convenient telescopic welding arm can cover a large working area. Welding with the Welding Arm will be easier and faster. The Welding Arm is a good addition to an ergonomic work environment. 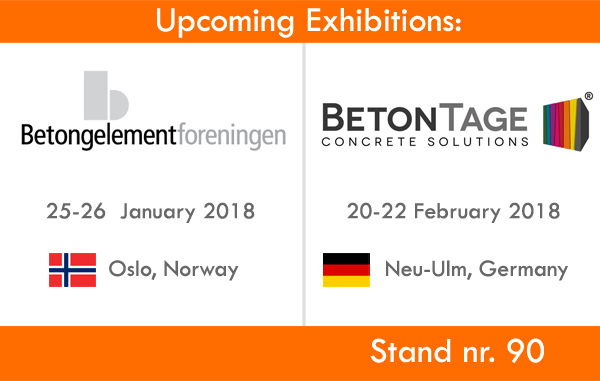 Beginning 2018 SKEW will be attending two Precast exhibitions. The first is the in Olso during the yearly convention of the Concrete association for Norway. The second exhibition will be the BetonTage (Concrete days) in Ulm ,Germany. SKEW will be presenting the Jiggelo System on both occasions. 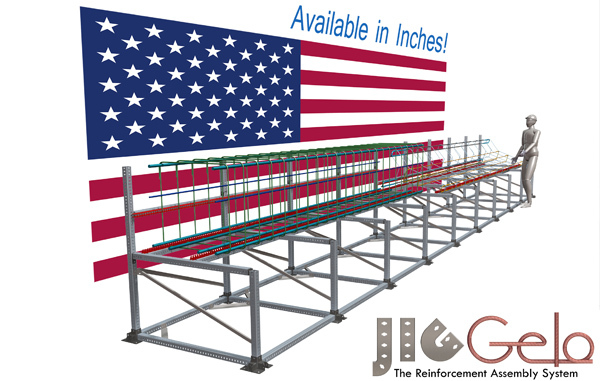 We are excited to announce that the Jiggelo – Reinforcement Assembly System is ready for the US. The Jiggelo System is now available in both imperial and metric measurements. 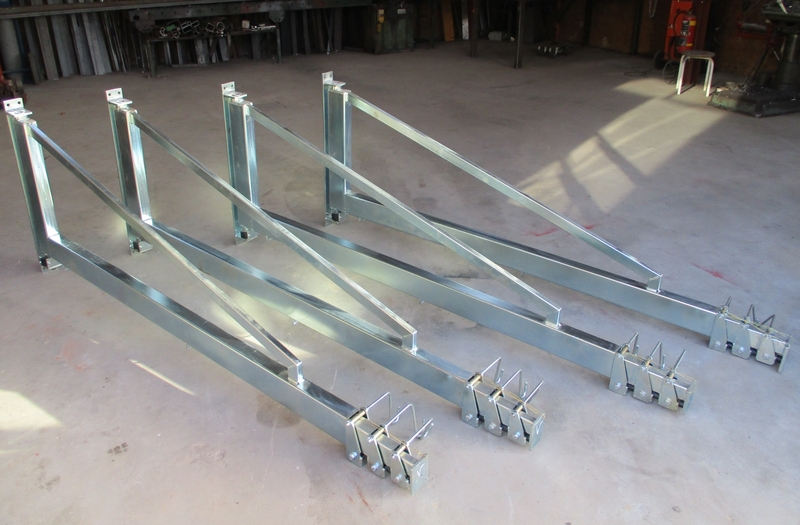 SKEW is the worldwide market leader in providing solutions for the manual assembly of reinforcement. Many reinforcement suppliers and steel traders have started using our products with great success. We are therefore thrilled to start providing rebar solutions in the US. With 4 feet frame parts and the 1 inch grid, the system is compatible with U.S. reinforcement standards. Our engineers made the system as flexible as the metric version, with some additional improvements! Take a look at our latest youtube video about the assembly of barrier elements.